What if I told you that there was a magical gift genie who could find the perfect present for everyone on your list? Sorry to tease—I’m still looking said genie (and I’m using one of my three wishes for the ability to teleport to Hawaii on demand), but in the meantime, I have an excellent alternative: Uncommon Goods. This stellar website offers all kinds of unique products, many of which are handmade. Need to shop for that person who “has it all”? Looking for a special something that mom won’t expect? Uncommon Goods is an excellent place to start. I first found this website when I was looking for travel-friendly picnic equipment for Ben and my trip to France, and I immediately became addicted. Uncommon Goods offers fun, original products, and they are expertly organized to allow you to search by occasion, interest, and even recipient. 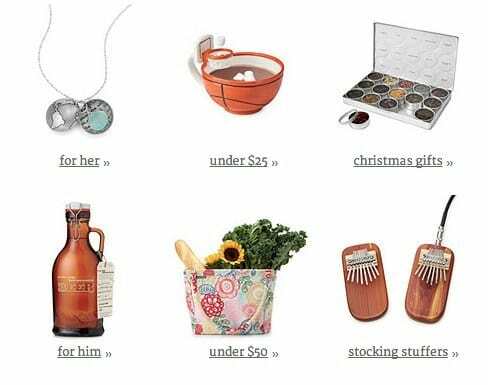 A few categories you may want to scope right now: Christmas gifts, stocking stuffers, and (yes, this is a category) gifts for wife. 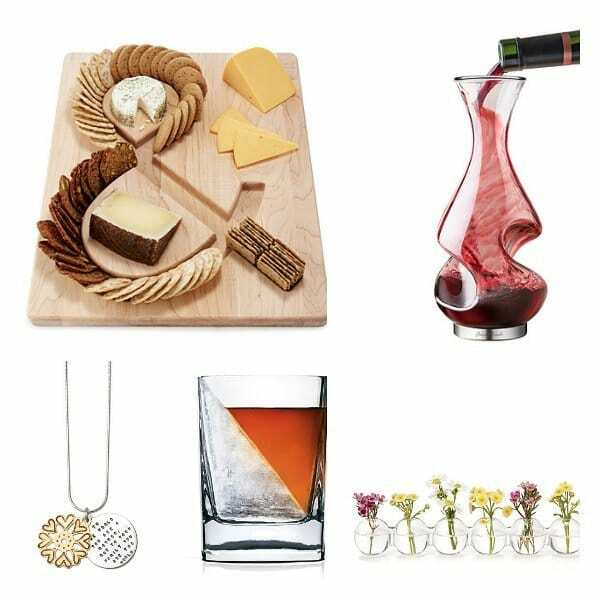 From unusual jewelry, to beautiful barware, to kitchen equipment, and art, Uncommon Goods truly has something to offer everyone, which is why I am excited to be teaming up with them today to offer one of YOU a $100 gift certificate! To enter the giveaway: Use the widget below. Please be patient as it may take a few moments to load. Thank you to Uncommon Goods for providing the giveaway prize to the winner. I received product for review purposes, but no other compensation was received. This is so axciting! Contests help us dream! Love Uncommon Goods! I just ordered a few things the other day for Christmas! I LOVE uncommon goods! I always find the best gifts there. Right now I am digging that cheese plate. So fun! Thanks for introducing me to Uncommon Goods! I’m going there right now to do some Christmas shopping! Uncommon Goods is o charming, it’s nice to see such whimsey.